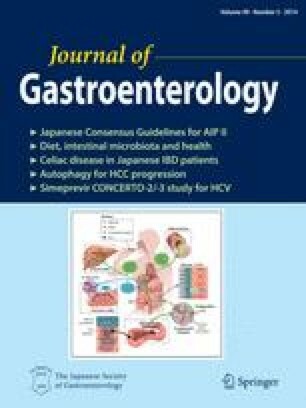 The natural course of chronic hepatitis B virus (HBV) infection and relevant host factors remain unclear. This study aims to investigate the impact of dehydroepiandrosterone sulfate (DHEAS) on the clearance of chronic HBV infection. Two hundred and one hepatitis B e antigen (HBeAg)-positive chronic HBV-infected children (101 females) were recruited. Serum DHEAS levels were determined in all subjects at 15 years of age. Serum alanine aminotransferase (ALT) levels, DHEAS levels, HBV seromarkers, genotypes, and viral loads were included for analysis. Subjects with serum DHEAS levels >3.6 μmol/L at midpuberty had earlier HBeAg seroconversion (median age, 14.7 vs. 18.2 years; HR, 1.9; P = 0.03), and the impact persisted even after adjusting for gender, HBV genotype, peak ALT levels, and viral load. Subjects with DHEAS levels >3.6 μmol/L at 15 years of age had more HBV viral titers decrement from 15 to 20 years of age (mean ± SD, 3.5 ± 2.5 vs. 1.2 ± 2.2 log10 copies/mL; P = 0.05) and shorter duration for HBeAg seroconversion than others (mean ± SD, 5.6 ± 4.4 vs. 9.2 ± 4.9 years; P = 0.02). Higher serum DHEAS levels at 15 years of age are also associated with greater hepatitis B surface antigen (HBsAg) titer decrement from 15 to 20 years of age (correlation coefficient = 0.45, P = 0.04). Higher serum DHEAS levels at midpuberty predicts more HBV viral load and HBsAg titer decrement from midpuberty to young adulthood. Higher serum DHEAS levels at midpuberty also correlate with younger age of spontaneous HBeAg seroconversion in chronic genotype B and C HBV-infected patients. The online version of this article (doi: 10.1007/s00535-013-0831-0) contains supplementary material, which is available to authorized users. The authors thank Dr. Daw-Jean Tsuei from the Department of Pediatrics of National Taiwan University Children’s Hospital for laboratory assistance. Grant support: This work was supported by the grant from the National Science Council of Taiwan (NSC 99-2314-B-002-023-MY3). The authors have no potential, perceived, or real conflict of interest. We declare that we have no conflict of interest.